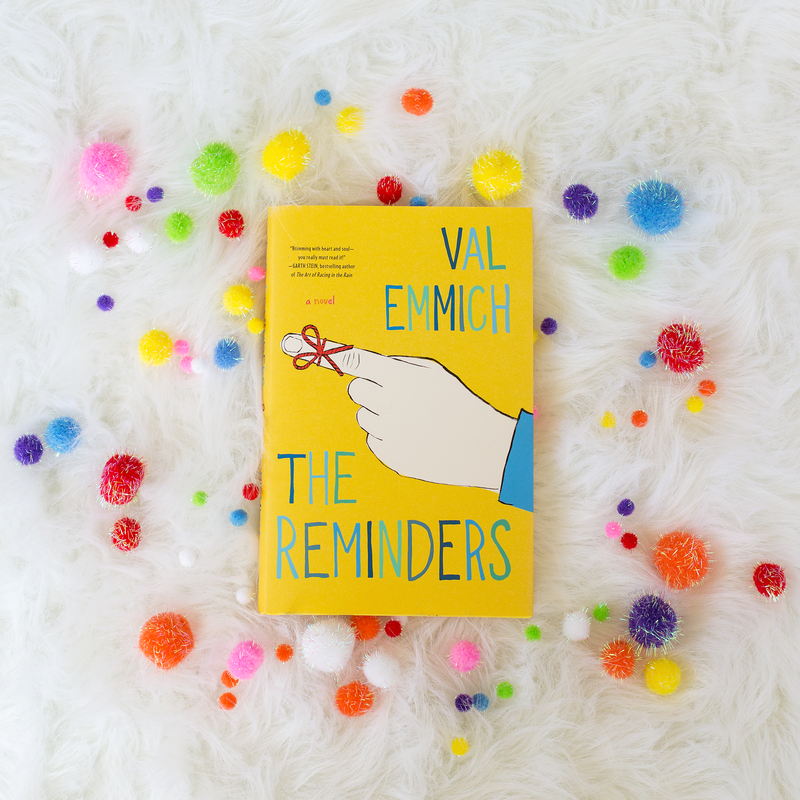 Val Emmich’s The Reminders tells the stories of Gavin Winters, the star of a television show who has just lost his partner and love of his life, and Joan Lennon Sully, a ten-year-old girl with an extremely rare neurological condition that causes her to remember every single detail of her life perfectly. Their lives intersect when Gavin travels from Los Angeles to New York to stay with Joan and her parents for a while to help clear his head after attempting to rid himself of all memories of his partner, Sydney, in a bonfire in his backyard, which was captured on video by a neighbor and soon went viral. As he and Joan form a bond through her memories of Sydney, Gavin battles with the pain of remembering Sydney while knowing that forgetting him would be even worse. Meanwhile, Joan struggles with her own issues–worrying she will be forgotten by those she loves and trying to hold on to the things she loves most, like her dad’s recording studio that he is planning to close. This is a very endearing story about the power of memories and the importance of holding on to them, even if doing so hurts. I adored Joan, and Emmich wrote her chapters with all the innocence and precociousness of a child while still giving her the heaviness that the weight of her condition would ultimately cause. The pain that her fear of being forgotten causes felt very real, and it contrasts perfectly to the pain that remembering his life with Sydney causes Gavin. Gavin himself was an interesting character to me. He is deeply flawed, but he acknowledges those flaws often, and his journey to accepting Sydney’s death and the regrets he has as a result of those flaws reached me deeply. And sprinkled throughout Joan’s and Gavin’s stories are the issues facing Joan’s parents, Paige and Ollie. This is the first book I have read in a while that made me pick up my highlighter and mark all the beautiful passages that Emmich crafted. His ability to switch between Joan’s ten-year-old voice and Gavin’s more mature and grieving voice is a work of art all on its own, and I found myself completely unable to put this book down. This was especially true once Gavin was faced with several unanswered questions about Sydney’s journeys to New York, and I found myself incredibly anxious to discover what he was hiding. This is a beautiful book. Although there is a lot going on (Gavin’s grief, Sydney’s secrets, Paige and Ollie’s issues with the studio, Ollie’s job, Joan’s fear of being forgotten, a songwriting contest, a TV appearance, Joan’s new distance from her father), the journey through it all is worth it. Posted in FictionTagged book review, Fiction, quirky characters, The RemindersBookmark the permalink.